Car lighter plug, 12VDC Car lighter plug 12 VDC cable mounting. List Price 1.80лв. VAT Incl. 1.71лв. VAT Incl. 1.62лв. VAT Incl. 1.53лв. VAT Incl. List Price 0.80лв. VAT Incl. 0.76лв. VAT Incl. 0.72лв. VAT Incl. 0.68лв. VAT Incl. 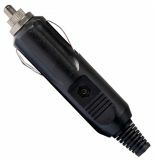 Car lighter plug, 12VDC, with illuminated button Car lighter plug, 12 VDC cable mounting. List Price 3.20лв. VAT Incl. 3.04лв. VAT Incl. 2.88лв. VAT Incl. 2.72лв. VAT Incl. 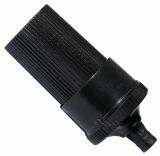 Lighter socket of the car, 12VDC Car lighter socket, 12 VDC, bulk mounting. Power strip lighter car with two output sockets, inbuilt fuse, removable plug Car cigarette lighter, M - 2 F, 12 VDC, detachable plug, 4 positions, with light indication. List Price 9.90лв. VAT Incl. 9.40лв. VAT Incl. 8.91лв. VAT Incl. 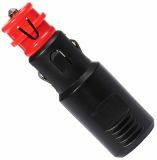 Car cigarette lighter adapter, M-2F, 12 / 24VDC Car cigarette lighter adapter splitter, M - 2 F, 12/24 VDC. List Price 8.50лв. VAT Incl. 8.07лв. VAT Incl. 7.65лв. VAT Incl. Powerbar car lighter, M-2F + 2USB, 12 / 24VDC Car lighter power bar M-2F + 2USB, 12 / 24VDC. List Price 9.90лв. VAT Incl. 9.40лв. VAT Incl. 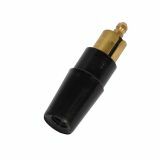 Cigarette lighter receptacle with plug 5.5x2.1mm, 0.25 m Car cigarette lighter socket with plug 5.5 x 2.1mm, 0.25 m.
Car lighter/3-socket lighter, 120W, 12/24VDC A portable, compact, lightweight and powerful car accessory with a beautiful blue LED backlight for easy detection in the dark. Protected from short circuit. Convenient to charge your electronic devices while driving, with 3 sockets, 120W, 12 / 24VDC with LED backlight. Single Pole Power Plug, 24VDC Single pole power plug for auto, 24 VDC. List Price 4.90лв. VAT Incl. 4.65лв. VAT Incl. 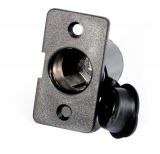 Plug for the cigarette lighter, 12/24VDC Car lighter socket, 12/24 VDC, bulk mounting. Car lighter socket, 12VDC Car lighter socket 12 VDC panel mounting. List Price 2.20лв. VAT Incl. 2.09лв. VAT Incl. 1.98лв. VAT Incl. 1.87лв. VAT Incl. Auto hub for cigar-lighter Powerbar lighter car, M - F 2, 12 VDC. 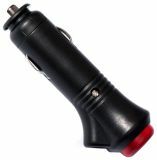 Auto hub for cigar-lighter M-2F+USB, 12VDC Car cigarette lighter, M - 2 F + USB, 12 VDC. Power cable from the cigarette lighter socket connector to plug 2.5x5.5x12mm Power cable with car lighter plug and 2.5 x 5.5 x 12 mm power outlet. List Price 2.99лв. VAT Incl. 2.84лв. VAT Incl. 2.69лв. VAT Incl. 2.54лв. VAT Incl. 3 Way Car Cigarette Lighter Socket Splitter No.1521 with cable 120W Triple Direct LED Car lighter or truck lighter with 3 sockets and cable, 120W, 12 / 24VDC with LED backlight. List Price 10.90лв. VAT Incl. 10.35лв. VAT Incl. 9.81лв. VAT Incl.